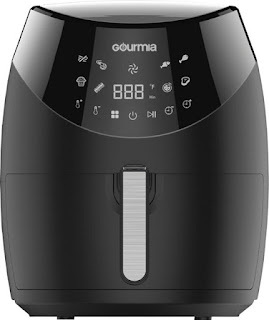 Hop on over to Best Buy where they are offering hundreds of Early Black Friday Deals valid now through November 11th at 11:59 pm CT.
As an idea, score this Gourmia 6 Quart Digital Air Fryer in Black for just $49.99 shipped (Retail $99.99). This Gourmia Air Fryer uses rapid air circulation to quickly and evenly cook foods and allows you to fry with no oil. It also features a removable 6-qaurt basket for easy cleanup.